On Friday, I went to the First Friday event. It was great! I took the Valley Metro Lightrail to downtown Phoenix where on the first Friday of every month vendors and artists alike can show off their talents and sell their creativity on the streets! So like a street fair. The lightrail experience was awesome people were looking and getting their feel. A little girl asked me some questions about being a queen. She was total fab! It was an amazing time. When I first got there I got to talk to a street preacher who told me that even if I break a commandment that I was going to hell. Straight with no stops. You know this concerned me… so I wanted to ask more questions, but he didn’t want to answer me. We walked down and I took pictures with people that thought that being in a crown and full-face is fabulous! I loved it! 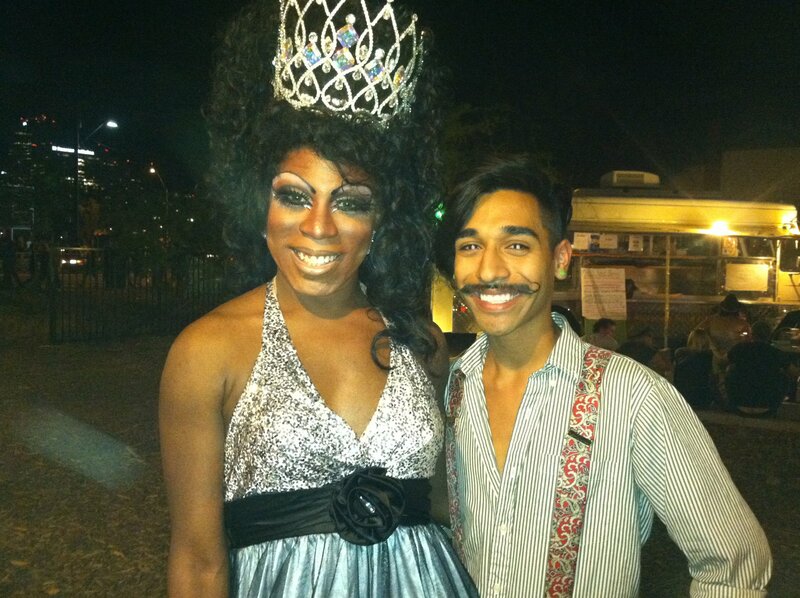 We got to a comfortable spot and I got to tell people what it meant to me to be Miss Gay Supernova USofA Newcomer 2011. And take more pictures.